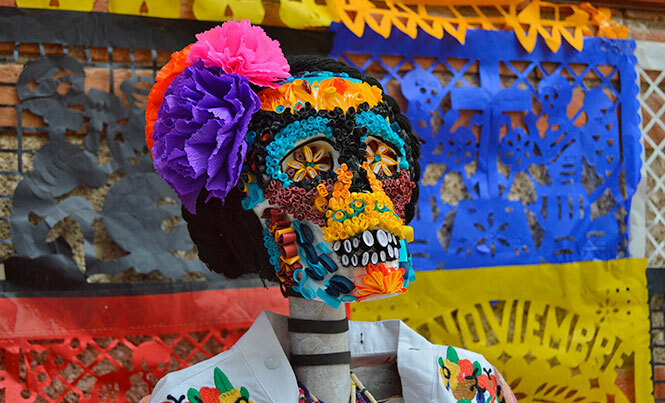 A look at some of the symbolism and traditional decorative elements which are a part of Mexico’s Day of the Dead and which vary from region to region. 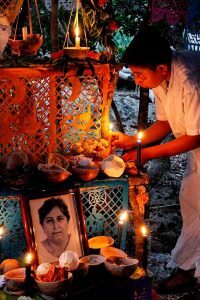 In this article I will continue on the theme of the “Day of the Dead”, which I find particularly interesting due to its great symbolism and its profound spiritual depth. The offerings and the altars to the dead are full of color and contain many elements (they may look austere or overloaded according to the region). They have cempoaxóchitl flowers, which are a yellow-orange color, and paper filled with color motifs which allude to death, among other things. 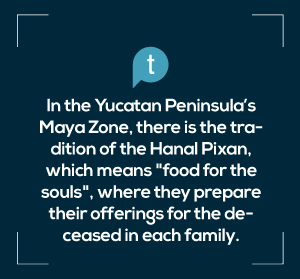 In the Yucatan Peninsula’s Maya zone, there is the tradition of Hanal Pixan, which means “food for the souls”, where they prepare offerings for the deceased in each family. For the people of the region, Hanal Pixan is a serious ritual which is intimate and carried out with much respect. In other parts of the country, families are accustomed to removing the bones from the grave and cleaning them. They want to be with their deceased and eat there with them at the grave. It is often incorrectly believed to be practiced throughout the entire country. At this time of year, one can find alfeñique sweets which are skulls and other colored figures that can be eaten. Some are made of clay or plaster and it is customary to put the name of the recipient on the forehead of the skull when given as a gift. This is not meant to be offensive, it is part of the heritage of this popular Mexican object. The performing arts and legends are present in Day of the Dead celebrations too. 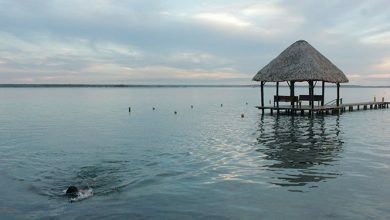 In this region you will hear the story of “La Xtabay.” In the center of Mexico, you will hear “La Llorona”, although not a part of the Day of the Dead, it is a story that is usually told on these dates. 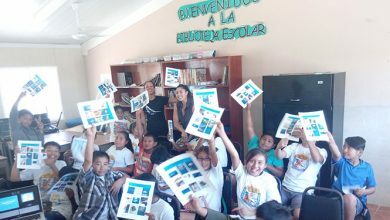 In the municipality of Carrillo Puerto, located two hours from the beach here, the teacher Marcelo Jiménez prepares the Festival of the Xtabay every year, which features theatre, music, dance, poetry and more. Literature is present in the calaveritas literarias (literary skulls), which are popular creative verses dedicated to some famous character, family member, friends or anyone loaded with humour, wit and sharpness. 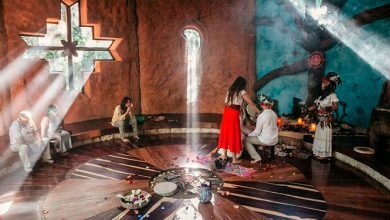 Finally, songs such as La Llorona (The Weeping) and La Bruja (The Witch), perfectly accompany the dates of this tradition.